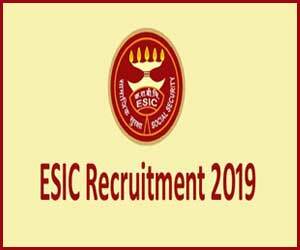 New Delhi: The Employees’ State Insurance Corporation, Jhilmil (ESIC Jhilmil) releases 25 vacancies for Senior Resident post on Contractual Basis. The selection will be done on the basis of Walk-in-interview. The walk in Interview will be held on 9th April 2019. The Vacancies are in the Department of Anaesthesia, Surgery, Pediatrics, Orthopaedics, General Medicine, Chest, Gynaecology, Casualty, ENT, Psychiatry, Radiology. Qualification: Candidate should have PG Degree/Diploma in concerned specialty from recognized University. Age: Not exceeding 37 years (Age relaxation for reserved category candidates as per govt. norms). Remuneration: As per recommendations of 7th CPC adopted by ESIC or any other allowances except TA. 1. Applicants having complete Bio-Data as per format uploaded on ESIC website along with duly affixed recent passport size photograph, one set of attested photocopies of testimonials (including MBBS & PG attempt certificate, 10th passing certificate as proof date of birth and SC/ST PH/OBC Certificate) and relevant documents including DMC registration certificate may report to the office of Medical Superintendent, 1G ESI Hospital, Delhi on the date of walk­in-interview at 10.00 a.m. The verification of documents will be done upto 11.00 a.m with original certificate. 2. Candidates belonging to DR/OBC category have to deposit a Demand Draft (non-refundable) of Rs. 300/- in favour of ESI FUND ACCOUNT NO. 1 Payable at New Delhi. SC/ST candidates have to deposit a Demand Draft (non­refundable) of Rs. 75/- .While PWD & Female candidates are exempted for payment of fee. 3. Candidate claiming reservation /age relaxation on ground of belonging to the OBC should submit the community certificate as prescribed by GUI, DOPT OM No..36012/12/22/93-ESTT. (SCT) dated 08/09/93 which is modified by GOI DOPT OM NO. 36033/3/2004(Res.) dated 09/03/2004 and time to time failing which the benefit of reservation/relaxation will not be given or their application shall be rejected. The OBC Certificate should be latest and not prior to one year from the date of interview. 4. Candidates suffering from 40% or more of the relevant disability shall only be eligible for the reservation for PH category. Certificate of disability from any Govt. hospital should be submitted at the time of interview. 5. The candidates must be registered with Delhi Medical Council before joining the post, if selected. 6. Candidates working in Govt. Service should produce NOC from their department at the time of interview. 7. Other terms and conditions shall be as per Govt. of India rules. 1. No TA/DA will be paid to the candidates for appearing in the interview. 2. The candidates will have to make their own arrangement of stay. 3. The candidates must bring original documents for verification at 10.00 AM Sharp on the date of interview. 4. The number of posts may increase or decrease as per requirement and approval of Medical Superintendent. 5. Reservation of PWD candidates as per rules. Medical Superintendent. Interested candidates can appear for walk-in-interview on 9 April 2019 at the office of the Medical Superintendent, IG ESI hospital, Delhi along with the documents.